First, signup for a Nexmo account and add a voice-enabled number. Next, login to your account with us, navigate to the channels page and click 'Connect Nexmo'. 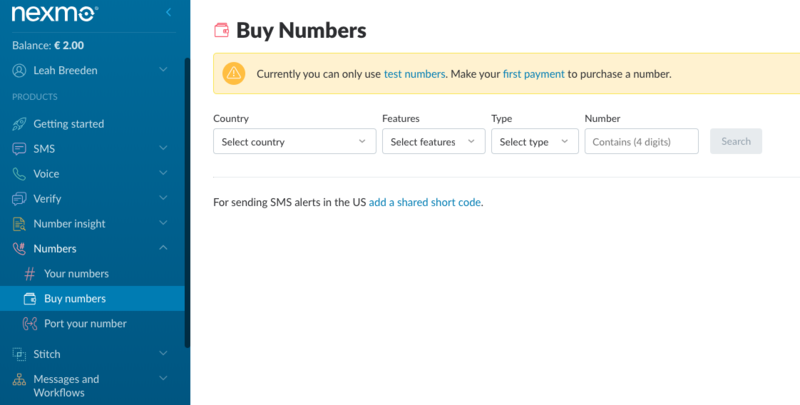 If this is the first time you’re connecting a Nexmo account to your account, you’ll be prompted to enter the API key and secret listed on your Nexmo account’s settings page. Once you’ve connected your accounts, all you need to do is select your number, create a voice flow and start sending. Learn how to add your own audio to outgoing messages here.